The use of medication to manage challenging behaviour in people with learning disabilities remains highly controversial. This overview is not intended as a detailed guide, and should only be regarded as a basic introduction to this complex subject. The umbrella term of 'challenging behaviour' has come to replace a number of terms, including behaviour disorders, undesirable behaviours, problem behaviours and maladaptive behaviours. These were all very negative terminologies that described certain behaviours as problematic. For individuals exhibiting challenging behaviour, the behaviour and causes of behaviour are contextual - it occurs for different reasons in different circumstances or environments, is perceived differently in different social or cultural environments, and depends upon the individual. Challenging behaviour has been described as behaviour that puts the individual or others at risk. It can cause problems at home, school, or in any social situation. Challenging behaviour can also affect 'normal development' and is regarded as culturally 'abnormal'. It can manifest itself as disruptive, aggressive, violent or destructive behaviour, as well as sexual behaviour or as a stereotypie (repetitive behaviour). This behaviour often causes problems with interaction with family members, community members and facilities. Challenging behaviour can arise due to a number of factors. These causes may be due to communicative and psychological issues (need for attention due to hunger/thirst/pain/illness, mental health, relationships or abuse, bereavement etc), or due to physical issues or biological origins such as sensory deficits. Challenging behaviour may be a certain characteristic of a number of learning disabilities or syndromes (such as autism or Alzheimers), or a combination of the above. It has been suggested that 12-17% of people with learning disabilities display some form of challenging behaviour (Marshall, 2004). Because the causes and severity of challenging behaviours are so varied, the kind of treatment prescribed is assessed on an individual basis. The two main areas of treatment are behavioural therapy and the administration of anti-psychotic drugs. Psychotropic medication can often be used in the long-term, sometimes due to an absence of a strong evidence base. The use of psychotropic medication to manage challenging behaviour is supervised by medical and psychological professionals, although there are currently no accepted guidelines in its use as a medication for challenging behaviour. The use of psychotropic medication remains controversial, and a number of studies have been carried out to assess its effectiveness. In cases where behaviour therapy or environmental changes may have failed to stop serious self-harming or severe challenging behaviour, it is believed that there is a strong case for the use of antipsychotic medication therapy. 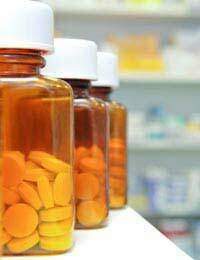 Some professionals do believe, however that if no improvement has been noted after a trial period, then the medication should be withdrawn. The use of medication and its associated risks should be discussed with patients and carers, and during the trial period any side-effects should be closely monitored. It has been suggested that psychotropic medication can sometimes be administered too soon, before identifying the root causes of the challenging behaviour. At present, it seems that the preferred approach is to explore a number of supportive services and alternative therapies – such as psychological intervention - before any psychotropic medication is prescribed as a means to manage the challenging behaviours.